The scrolled arms and turned wooden feet give Claudia her traditional charm. But the colour options? Very 21st century. Cutting-edge even. We’d love to see it with some bold, patterned cushions. However you style it, this will be a real stand-out piece. 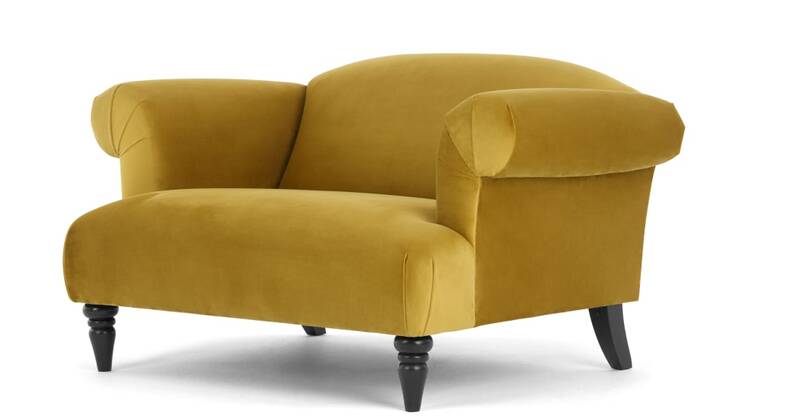 The shape modernises a boudoir silhouette and the velvet upholstery adds a truly luxurious touch.